The Liquid Foundation Brush is specially designed to deposit the right amount of liquid foundation for a precise, even and smooth application. The bristles are tapered so you can easily customize the level of coverage. The end result is a perfectly flawless finish. Made of synthetic bristles which are a good choice for liquid-based products because they hold their shape and don’t expand when wet. Soft-touch foundation brush is oval-shaped to work with the contours of the face, including narrow areas around the nose, mouth, eyes and hairline. Your way to a perfect finish starts with the perfect brush. The Mary Kay® Liquid Foundation Brush is handcrafted for maximum comfort and control when applying liquid foundation. 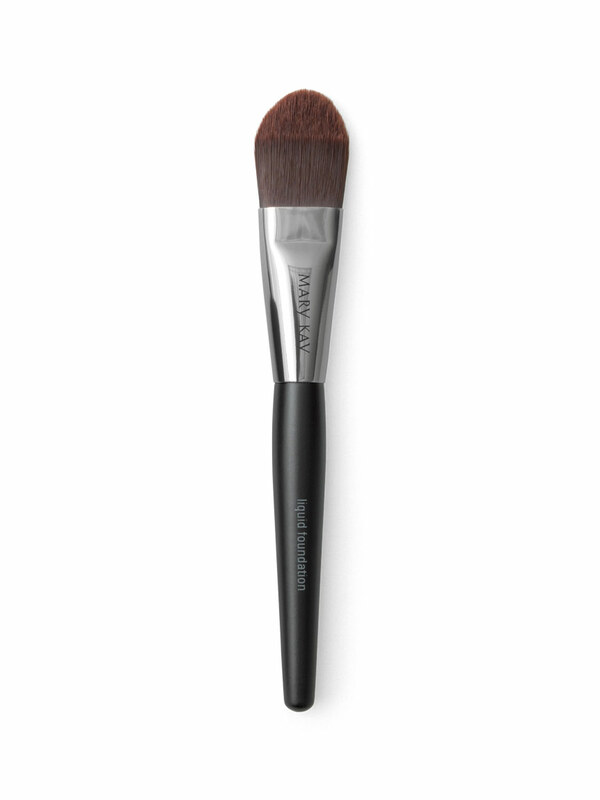 The unique, flat, tapered shape allows the brush to go places that fingertips can’t and ensures that every contour on the face is covered. 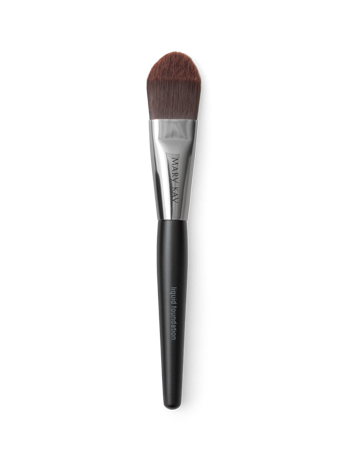 The synthetic bristles are great with any Mary Kay® liquid foundation to help provide a flawless application. As a result, foundation looks more natural, which allows your natural beauty to show. Pour a small amount of liquid foundation onto the back of your hand. Start in the center of your face, at the nose or forehead, and use broad, even strokes working out to hairline and chin to sweep and blend the makeup. Continue steps 2-4 to achieve the desired coverage level for a perfectly flawless finish. Synthetic fibers provide even distribution of liquid- and cream-based products because the bristles do not expand when wet.